Welcome back to our June 2009 issue of Bangkok Travelbug, the monthly newsletter of Tour Bangkok Legacies. If you are a new subscriber, welcome to Bangkok Travelbug. We wish you an informative experience. Well it has been a year since we published the inaugural issue of Bangkok Travelbug. I distinctly remember the nights back then, huddled over my desk, tapping away on my laptop to get the first issue out. So much has happened since then, both in Thailand and the world. That issue, if you can recall, was on the coup on 24 June 1932 and the principal figures involved. If you like to refresh your memory or if you joined us after that issue, here it is again, the coup that changed the course of Thai history. I like to thank all you for your support during the past year, those who subscribed from day one and those who joined us later. Your interest makes this undertaking so much more satisfying and rewarding. To commemorate our first anniversary, here’s a free download of an e-book that would be of interest to those are interested in starting a website or are already having one. The book provides an approach to successful website building. 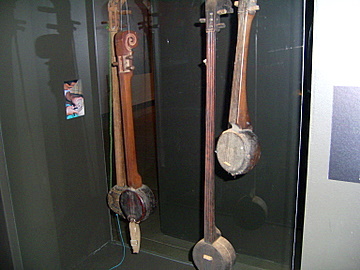 As promised in last month’s issue, here are some photos taken from the exhibition on tribal musical instruments. 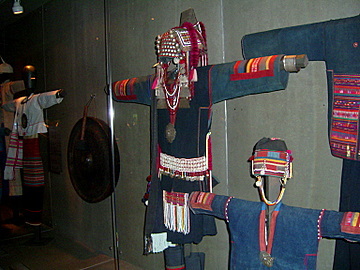 The exhibition features the brief history, culture, costumes and musical instruments of the Akha, Karen, Hmong, Lahu, Lisu and Mien tribes who live in the Golden Triangle in northern Thailand. I learnt a number of things from visiting this exhibition. Firstly, the role of music in the lives of these people. Music is more than mere entertainment; it’s a form of expression, a key component in their culture and lives. The brief histories of these tribes trace their migration routes over the centuries, from Siberia, Mongolia and Tibet across Asia to China and then South-east Asia. These are very old cultures, relatively unspoiled by modernity. 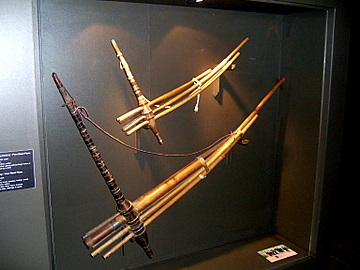 So visit the Jim Thompson Art Centre at the Jim Thompson House or take a virtual tour to view these tribal musical instruments. The exhibition is on till 23 July 2009. So don’t miss it if you are in Bangkok. The Golden Buddha has now got a new home. It used to be in this small building in Wat Traimit. 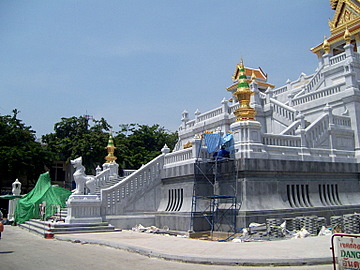 Now the 3 m high Golden Buddha weighing 5 tons has a new building in the same complex befitting its prestige and stature. The golden spire on the roof is now a prominent landmark in Yaowaraj, Chinatown Bangkok. The building also houses the new Yaowaraj Heritage Centre. However work is still done on the exterior and the place isn’t open to the public yet. 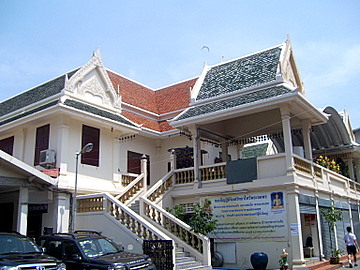 The old Samphanthawong Museum in Wat Traimit preserves the history of the early Chinese immigrants in Bangkok. On my last visit to the place on 17 December 2006, I had a shock. The museum was completely flattened! As events have shown this won’t be the last time a museum is demolished. But the good news is the new home for the museum is almost ready and from initial reviews it’s going to be far better than the old one. 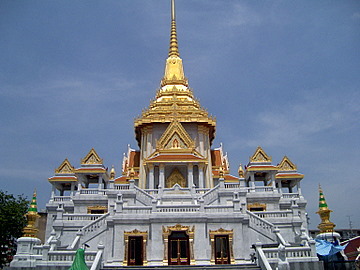 The new Yawaraj Heritage Centre is located in the same grand building as the Golden Buddha in Wat Traimit. It was officially opened on the first day of the Chinese New Year on 26 January 2009 and remained opened for 15 days of the New Year celebrations till 9 February. It was then closed to complete the exterior. During that period there were long queues to get in and each group was only allowed 15 minutes inside. So I decided to wait. However it has been a long wait. When I went there in March I was told it will be ready in two months time. On my last visit on 9 May it was still not opened. Another month I was told, so it looks like we’ll have to wait till mid 2009. Here are some updates on the new rail links and extensions in Bangkok. 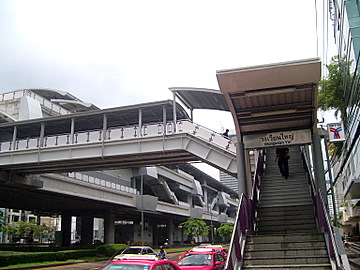 On 15 May 2009, the long awaited extension of the Silom line from Taksin Bridge to Wong Wian Yai finally started its services. As part of a three month trial run, free services will be provided between these stations from 15 May to the end of August 2009. I have been eagerly waiting for this since the plans for the extension were first announced in December 2005. 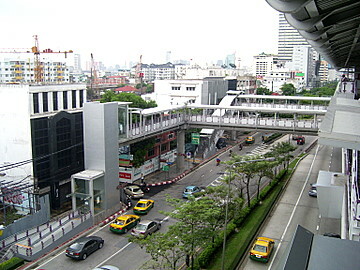 The 2.2 km extension links the S6 Taksin Bridge station to S7 Krung Thonburi and terminates at S8 Wong Wian Yai. On 16 May 2009, I took a ride to these two stations and here are my impressions. 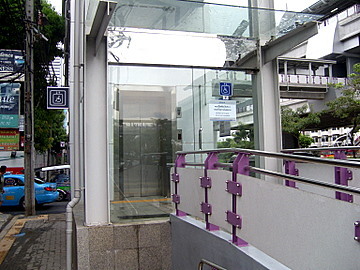 Though the extension is rather short, it’s the first extension since the Bangkok skytrain started services in December 1999. This makes access to the Thonburi side of Bangkok so much easier. In the past, I’ve been reluctant to cross over because of the traffic congestion. It’s heartening to note that the facilities for the disabled at these new stations are very good compared to some of the older stations. The disabled and elderly are able get to these stations from the street right up to the train platforms. It’s a pity some of the older stations don’t have these complete facilities owing to space limitations. Please note that the Wong Wian Yai station is at least a km from the actual Wong Wian Yai where the King Taksin Monument is located. The tracks for further extension of this line are already in place and the line ultimately terminates at Bang Wa, 5 km away where commuters can connect to another planned subway line. This will make travelling in Thonburi so much more convenient. I can’t wait for that day. 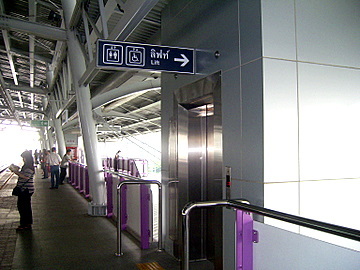 The rail link from Suvarnabhumi Airport to the city will commence services on 12 August 2009. The 28 km track links the airport to Makkasan and Phaya Thai in the Pratunam area. From Phaya Thai there’s a connecting service to the Bangkok skytrain. You will recall in last month’s issue that Thai Labour Museum was demolished to make way for the track passing through Makkasan. The service is run by the State Railway of Thailand. Fares are expected to be 150 baht for passengers taking non-stop trains while those travelling on trains that stop at every station will pay between 15 and 45 baht. It’s still cheaper than taking a taxi and paying the highway tolls. We are going to another part of town to visit some Bangkok dolls.